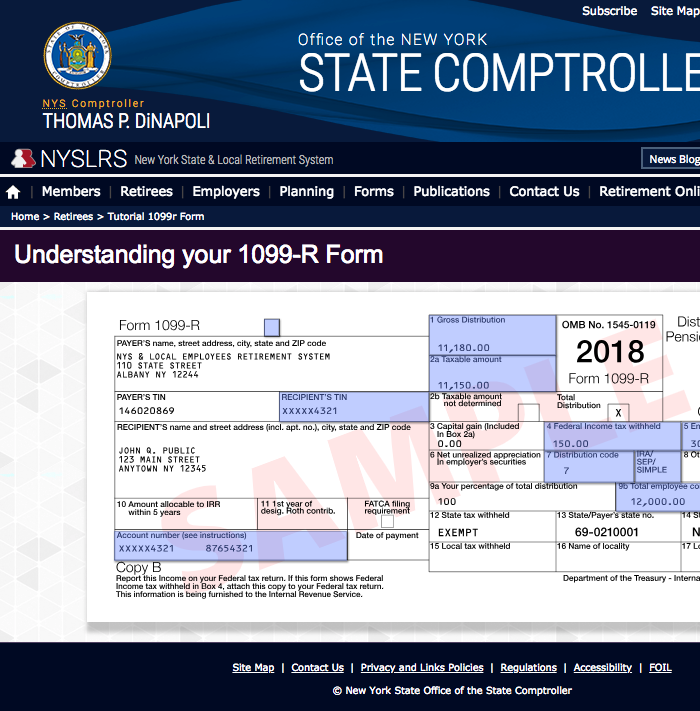 While a New York State service retirement benefit is federally taxable, it is not taxed by New York State, and we cannot withhold income tax from other states from your benefit. Please check with the North Carolina Department of Revenue (http://www.dornc.com) to make arrangements for paying state income tax. I rarely receive my retiree Annual Financial Statement without having to make phone calls to NYSLRS, where I must wait on phone for 45 minutes to get through, if then. Does anyone know how I can get the amount to be deducted on my Federal tax regarding my Total Health insurance Premiums other than via the ever delayed Annual Statement? We apologize for the trouble you have been having. Unfortunately, the NYSLRS Social Media team does not have access to your account information. Please email our customer service representatives using our secure contact form (http://www.emailNYSLRS.com). They can let you know how much your health insurance premium was for 2016. You should also let them know that you have trouble receiving your retiree statement every year, and be sure to provide them with your current address and a good daytime phone number in case they need to call you. Please allow 5 – 7 business days for a response. Be sure to fill out all of the form fields before clicking “Submit”. If there are any fields you aren’t sure of, you can enter placeholders instead. For example, if you don’t know your registration number, you can enter 12345678. If you want to try calling our Call Center again, we recommend calling first thing in the morning. Our representatives start taking calls at 7:30 am. The toll-free number is 1-866-805-0990. Why is my gross amount less than what my pension is. Unfortunately, the NYSLRS social media team doesn’t have access to your retirement account information. 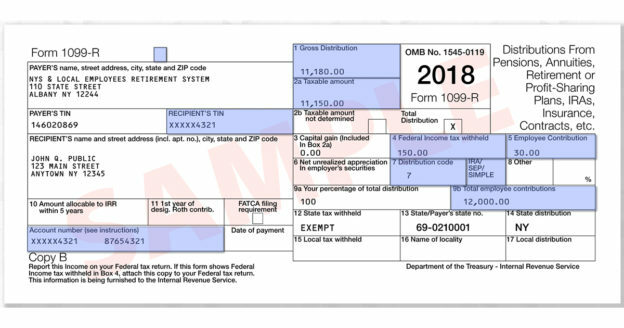 If you are asking about your 1099-R tax form, please email our customer service representatives using our secure email form. One of our representatives will review your account and respond to your questions. Filling out the secure form allows us to safely contact you about your personal account information. Otherwise, you can view a breakdown of your current monthly benefit payment anytime by signing into your Retirement Online account.